Everything about The Life of Pablo is messy. The pre-release hype was a mess with Kanye releasing multiple versions of songs on his SoundCloud page because he uploaded the wrong version first. A few months ago this album was supposed to be called So Help Me God, then Swish, then Waves, then back to Swish before finally landing on The Life of Pablo only hours before the album’s unveiling. The Yeezy Season 3 event at Madison Square Garden was our first real taste of The Life of Pablo and it was supposed to be the release party but it took three more days for Kanye to finally get the album to the people and in that time the track list was changed several times. 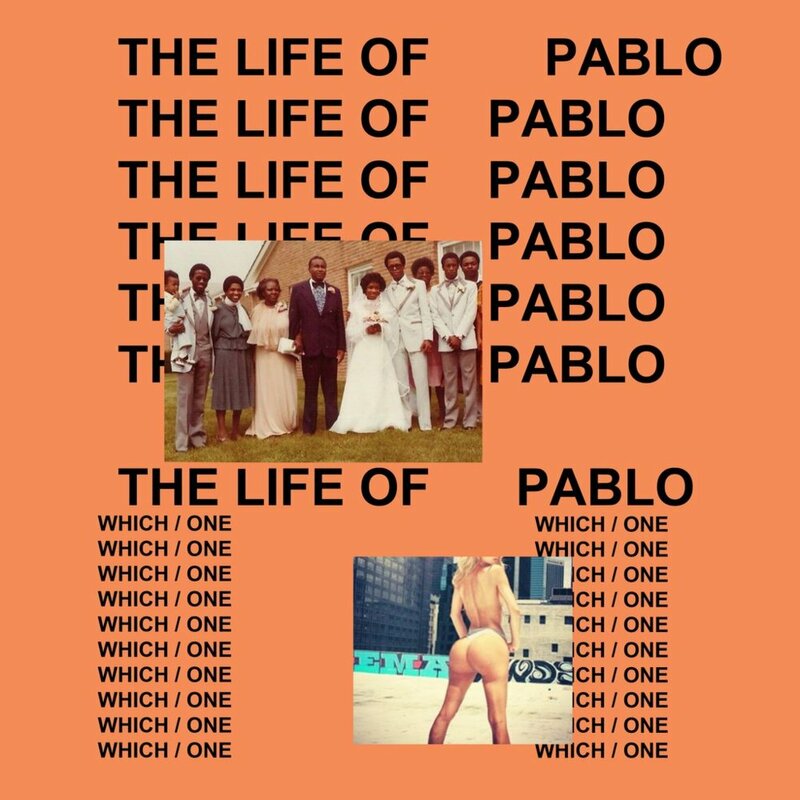 After his performance on Saturday Night Live, The Life of Pablo finally arrived on Tidal but even this may not be the final version of the album with West tweeting “Ima fix Wolves” later that day. In a few days, Kanye plans to release the album on every major digital service and it could be slightly (or entirely) different than what we have right now but regardless of what the future brings, The Life of Pablo is here and this record is a gloriously chaotic patchwork of ideas from the most powerfully divisive artist in America. With all the Twitter drama and rollout madness, The Life of Pablo seems to be about a million different ideas but is this album actually any good? For the most part, yes, but it’s complicated. The record starts strong with the gorgeous gospel of “Ultralight Beam” which features Chicago’s new savior and Compact Discography favorite, Chance the Rapper. It’s a powerful track that makes good use of a gospel choir and Chance’s overwhelmingly positive life force – but Kanye West seems to be only a background element on the song. And this is one of the reasons The Life of Pablo is so odd; several of the best songs on the album seem to be organized by Kanye West but executed by others. Earlier today, West released the full album credits on his website and revealed that well over 100 people were involved in the creation of The Life of Pablo. Kanye West has built a career around putting himself at the center of every damn thing he encounters but on The Life of Pablo, West often plays only a supporting role. It’s an unexpected turn for the world’s most notorious narcissist and I can’t say I’m thrilled about it. I love it when Kanye irrationally loves Kanye. It’s part of his charm. The other problem with The Life of Pablo is the lack of unified vision. West’s defining classics The College Dropout, My Beautiful Dark Twisted Fantasy and Yeezus all have a meticulous architecture that transcends the individual songs and binds the music together into something cohesive and focused. With thin stylistic and thematic links between individual songs, The Life of Pablo often seems like a blurry hallucination of half baked ideas but the sloppiness of this album has redeeming qualities too. Unlike anything that we’ve seen before from West, The Life of Pablo provides an unprecedented peak behind the curtain of his creative process. As a public figure, Kanye West has always said and done exactly what he wanted, regardless of the consequences and for the first time in his career, Kanye has released an album as rambunctious and unfiltered as his public persona. Even though this anarchical approach results in some artistically shoddy moments on The Life of Pablo, it also allows Kanye West’s raw creative power to manifest in some truly spectacular ways. The understated “Real Friends” is a heartbreakingly candid reflection on the isolation of celebrity and the toll it takes on the interpersonal relationships of those in the spotlight. It’s the most human moment on The Life of Pablo and Kanye’s serious introspection provides some depth to the wild spectacle of the record. The blinding highlights are here and they are a reminder that even a faltering post-prime Kanye West is still capable of making some incredibly compelling and profoundly moving music. I’ll still be processing The Life of Pablo for a while. The album has only been out for a few days and even though I’ve listened to The Life of Pablo a dozen times, I’m still trying to unpack everything. This is a messy and personal album from a genre defining artists and even though I think Kanye West has released several records that trump this one, I still can’t resist Kanye’s magnetic grandiosity on The Life of Pablo. Maybe Kanye is just too far ahead of the times or too far out in left field for us to properly comprehend and appreciate what he is trying to do right now. Kanye West has always been a big idea guy, striving to create a music experience that is culturally transcendent and that’s exactly what makes me such a believer. The most insane and inspiring thing about Kanye West is that Kanye West firmly believes that Kanye West’s music will change the world for the better but the best thing about Kanye West is that sometimes Kanye West is right. Enjoyably bizarre and unpolished, this album may or may not change the world but either way Kanye West’s The Life of Pablo is one hell of a show. Update: “Ultralight Beams” was originally left off the Top Tracks but this was a mistake. “Ultralight Beams” is super dope, all apologies to Kanye. Spot on review, except for your prediction that critics won’t love this album. Pitchfork, Rolling Stone, and the New York Times have all come out with glowing reviews–more glowing, in fact, than your own. Fair point. I was referring more so to those who are habitually critical of Kanye rather than Music Critics in general. Either way, thanks for reading! Great review and imma let you finish but Ultralight Beams is the best track on TLOP. ULTRALIGHT BEAMS!!! My name is Derek and I’m the founder of the Fox Sports Engage syndicated sports and entertainment site nocoastbias.com. In short, the site is a hub for the most talented writers from across the country and I think you would be a great fit. If you’re interested, feel free to shoot me an email at derek (at) nocoastbias (dot) com or derek (dot) hernandez (at) hudl (dot) com. Thanks!